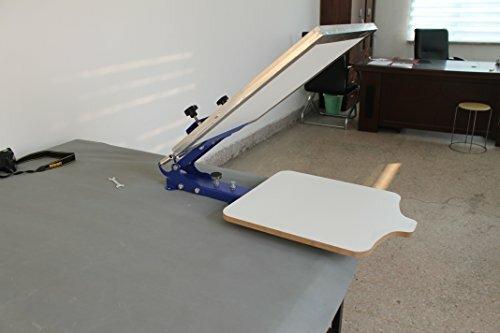 2015-zmd table-board fixed single color screen machine（simple screen printing machine） based on the needs of the consumers order and markets ，this is one color simple screen printing with very low cost and is especially suitable for single color T- shirt printing. It can also be applied to printing on substrates which need overprinting，such as pillowcase，bag，non-woven bags and so on.. The user can only change the pallet according to the substrates to satisfy the needs of different kinds of printing and it is easy to dismantle the pallet. This machine adopts full metal structure and all parts are stainless steel materials, which is in advanced electrostatic spraying, elegant appearance, convenient in cleaning and no rust.